They have to wear something! 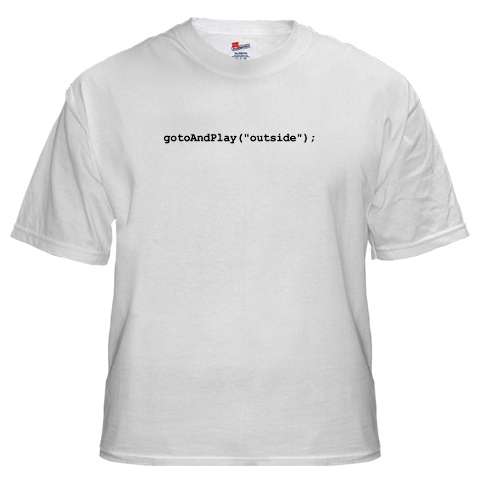 This t-shirt might not mean anything to anyone, other than a flash/actionscript programmer but it is particularly relevant to any one who uses actionscript or flash regularly. The command gotoAndPlay moves to a frame in the flash movie, so if there was a frame called outside then it would go to that frame, so to anyone else it is just cute because it says to go and play outside. You might not remember the Tron Recognizer from the video game Tron, but in the movie it was the slave of the master which went around trying to destroy the tank and the light bikes. 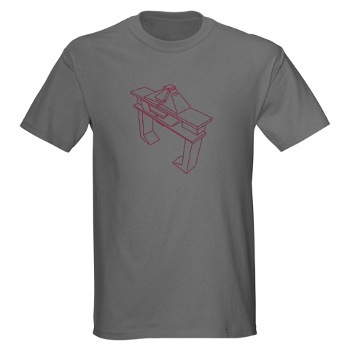 I was really excited when I found it on Cafepress, so that probably tells you how much of a geek I am. I just need to find the light bikes now and I will be happy! 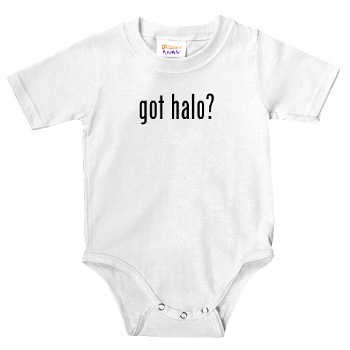 I was go through all the games clothing on Cafepress when I came across this onesie, my daughter sits in my lap when I play Halo 3 and Gears of War 2, so we gave her a pink XBox controller to use. So I just need to get this onesie for her and she will be all set. I saw one for Gears, but I prefer this halo one. All I need is one with got COD and we’d be all set! xbox 360 on Got Halo?